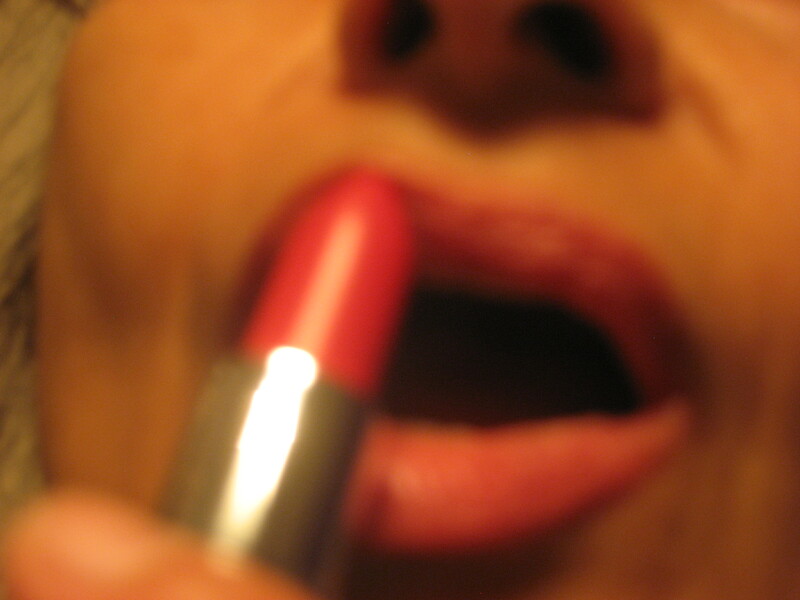 I am not a lipstick girl. I usually go for an enhanced au naturel look but there I was, barely installed in my little studio in the Marais district and I was out frantically scouting for the right shade of red lipstick I just had to have ASAP. I felt naked in Paris without it. Something was definitely missing from my arsenal and it boiled down to a glossy red tube of molded magic. The choices were numbing. Did I want a crimson or a pink-hued shade, or even one veering to the orange or browns? Did I want the creamy, glossy or matt finish? Did I want the round edged, pointy or liquid stick? It reminded me of an old (very old) MAD magazine cartoon about someone buying a pack of cigarettes only to be quizzed about brand, menthol or regular, filter or no filter, etc. etc. till the poor guy just went beserk and took off screaming down the street. I did end up with a lovely shade of red packaged in a very substantial black and gold housing. Now I was definitely ready for the vernissage (opening) of my group exhibition Dans le ventre des femmes at 59 Rivoli on Wednesday evening, October 3, 2012. 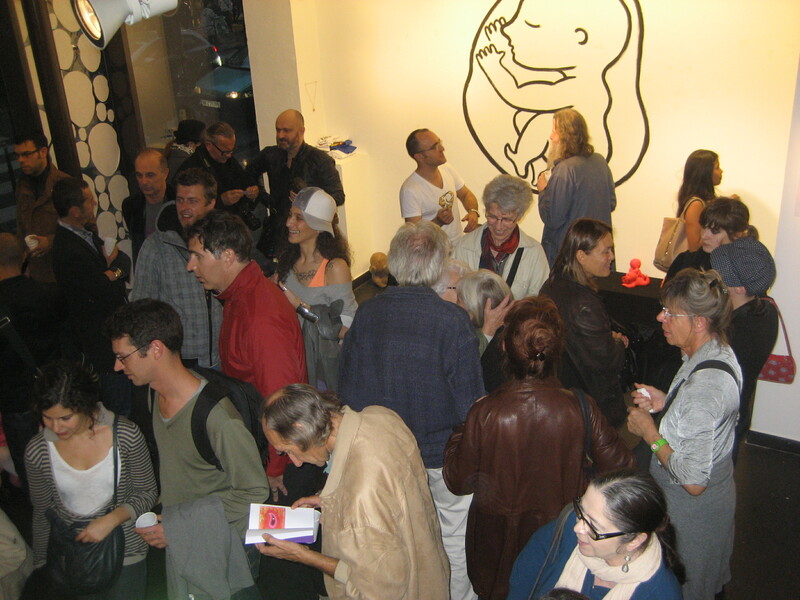 The turnout was gratifyingly huge, with each artist bringing in their own band of loyal followers. 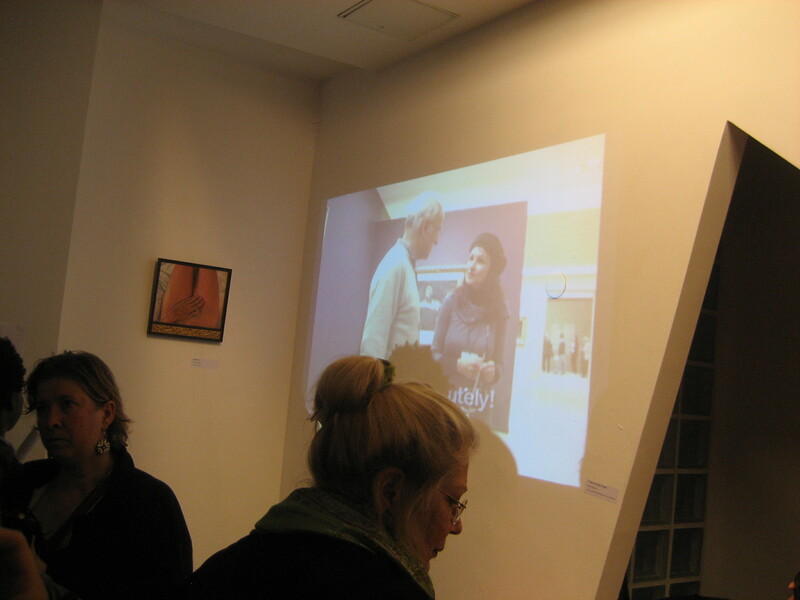 It was a wonderful success for Maia Brami who conceived the whole notion of the exhibition based on the uterus anthology she initiated and brought to publication. Considering I don’t live in Paris I was very moved and appreciative of the number of people who came specifically to see me and my work in person. 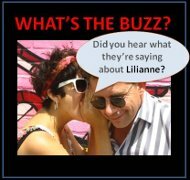 I soon forgot the technological glitches that threatened to spoil my night and thrust myself into the moment, chatting with guests, meeting all the artists, and networking in the hopes of laying the groundwork for my next visit! It was a four-hour opening which seemed extreme to me but the stream of people just kept coming. 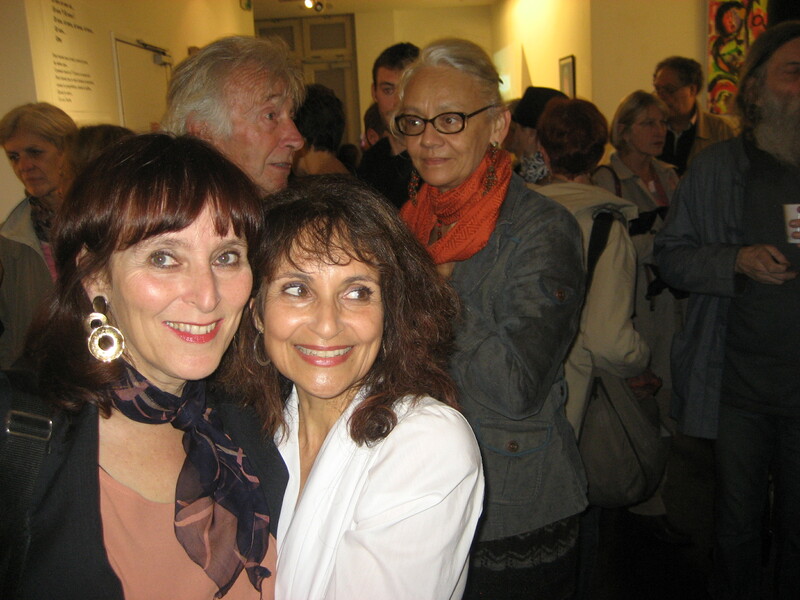 The single visitor who probably travelled the farthest to attend was my sister Jeannette who arrived that morning from Australia for a conference in Paris (on left below, with yours truly on right). 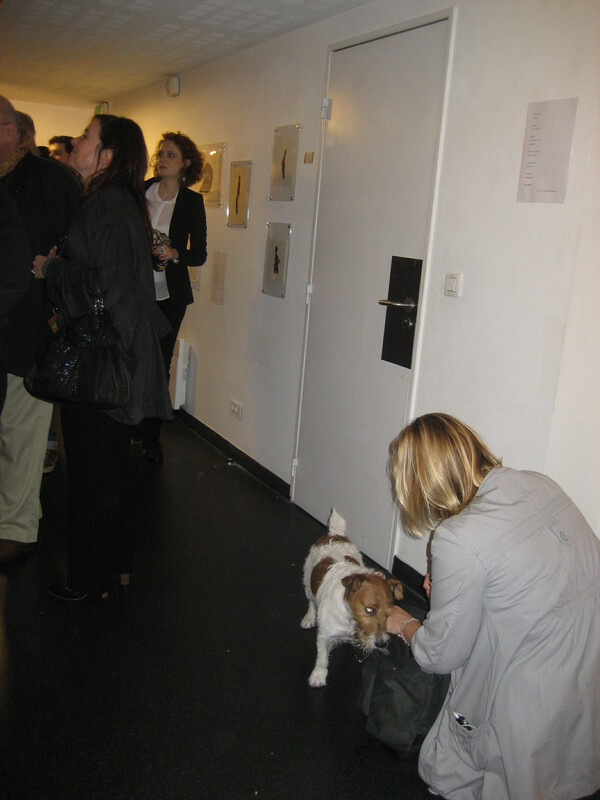 I almost forgot to include another very French presence at the opening – dogs! Since the French are very understanding about bringing their little pooches to restaurants it is really no surprise that they would be welcome in all sorts of cultural venues as well! And pourquoi pas?